If you have a question, browse through the frequently asked questions section below. If you cant' find the answer to your question, click the Contact Us link above to contact Bobcat Company directly. Stolen Bobcat Report — Where do I report my stolen machine? Serial Number — What year was my machine manufactured? For information on the year of manufacture of your Bobcat product, you may use the online Service Issues Form or call Customer Service at 800-743-4340. We have a website that allows you to search for pre-owned construction equipment at authorized Bobcat dealers in the United States and Canada. 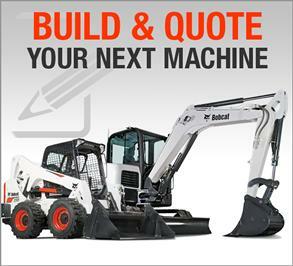 Review product descriptions and photos, check prices and contact the selling Bobcat dealer directly. Your used Bobcat equipment is best evaluated in person by your Bobcat Dealer, but for comparison purposes, you may also wish to visit our used equipment website. Product and Attachment Ideas: Is Bobcat interested in my idea? Do you have an idea for a new attachment, product or an enhancement to an existing product? We are always interested in hearing your ideas. Click here to submit your idea. Manuals — Can I order a parts manual? WorkSaver® Magazine — How do I update my subscription or unsubscribe? WorkSaver magazine is your source for the latest Bobcat product news, customer stories, special promotions and more. To update your address, or to discontinue your WorkSaver subscription, please submit your request here. You are welcome to use our Build and Quote tool to get product pricing and/or a dealer price quote. When purchasing or leasing a significant piece of equipment, it is important to consider the quality of dealer support that comes with it, including parts availability, trained service technicians and availability of rental attachments. 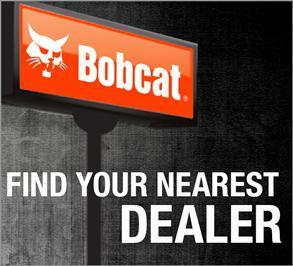 The total dealer support package is best discussed directly with a local Bobcat dealer, and we encourage you to do so. Dealer List — Can I get a list of Bobcat dealer locations? Please contact your local Bobcat dealer for parts related purchases or questions. You may also purchase a selection of Genuine Bobcat Parts online (available in the US only). Bobcat Feller Buncher — Where can I get information? The Bobcat Feller Buncher product line was discontinued in 1987 and the assets sold to Barko Hydraulics in Superior, Wisconsin. It is no longer in production, but please contact Barko for information. Spra-Coupe Sprayers — Where can I get information? The company sold the Melroe Spra-Coupe product assets to AGCO Corporation in 1992, and the product was discontinued in 2013. Contact AGCO for parts and service information. Earthforce Loader Backhoes — Who do I contact for parts? Bobcat acquired the loader backhoe product line from EarthForce in 2001 and discontinued the line in 2006. Please contact your local Bobcat Dealer for parts and service. Bob-Cat Brand Mowers — Where can I get parts or service? 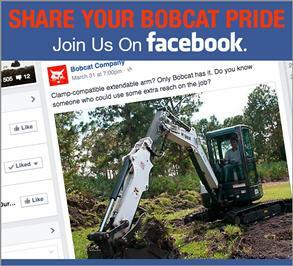 The brands "Bobcat" and "Bob-Cat" are sometimes confused but they are two different companies. Schiller Grounds Care, Inc., of Johnson Creek, Wisconsin, manufactures BOB-CAT commercial mowers. Bob-Cat Snow Throwers — Where can I get parts? The Bob-Cat brand of walk-behind snow throwers — which was NOT manufactured by Bobcat Company — was discontinued many years ago and there is no current manufacturer.